Le Poisson Rouge – the old Village Gate to you longtime New Yorkers – has a reputation for successfully catering to eclectic tastes. 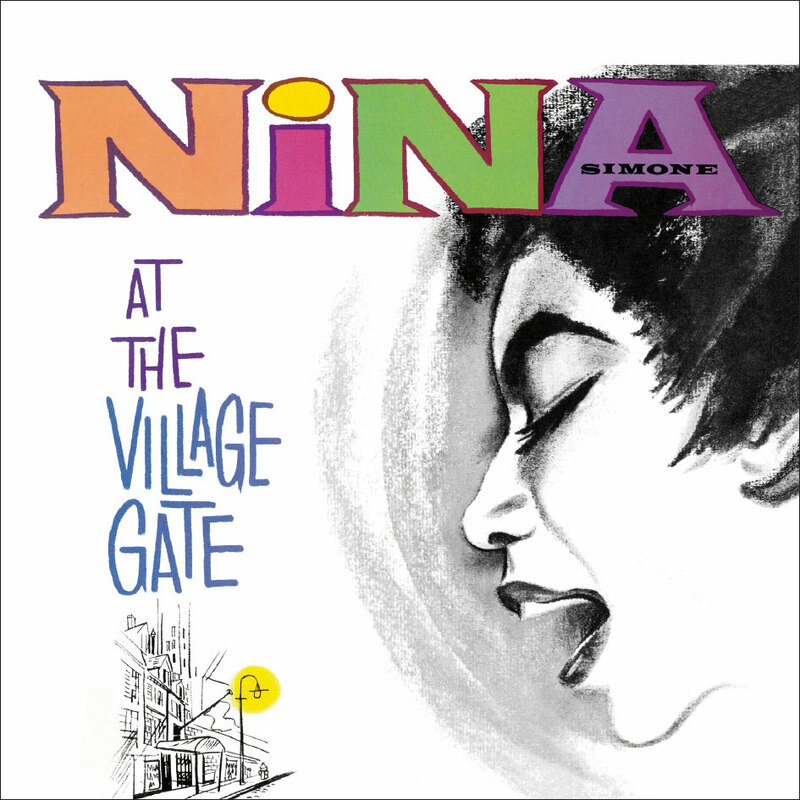 The Times has called it “an epicenter for adventurous music” and noted its “earnest disregard for genre boundaries”. So it was oddly apt that last Monday evening the club turned over its gallery/bar space to Gelf Magazine for its “The Sport of Kings“ panel of racing reporters; a freshly-minted session in the zine’s Varsity Letters gabfests dedicated to reading and writing about sports. Walking over to the club from the Spring Street stop on the IND line, it seemed somehow right and proper that – on the day when Steve Haskin and the Blood-Horse parted company after 17 years – a “webzine” (Gelf uses the archaic term as an ironic mash note to the late 1990s) should sponsor a panel discussion at an old Greenwich Village jazz club with the racing reporters from the Times and the Journal mixing it up with a schoolteacher who doubles as a blogger/journalist and a young freelance writer who punches parimutuel tickets at Saratoga as a summertime job. Media companies have been undergoing a constant and thorough rejiggering ever since webzines gave way to weblogs, which begat plain old blogs, which was right around the time when print advertising started to tank. The decline of traditional media’s influence and the subsequent rise of the citizen journalist and social media are intertwined like live oaks cloaked in Spanish moss. The racing press is no exception. With the Daily News now seeming to be at death’s door roughly a year after having given Jerry Bossert the heave-ho, it’s become quite clear that the job of full time racing reporter has become a luxury item that only a few papers can justify. The Wall Street Journal’s Pia Catton covers the ponies as a side gig. Her main beat is New York’s art and culture worlds, notably in her “Culture City” column that appears on Mondays. I could be wrong but you would probably not look to Ms. Catton for an opinion as to whether or not the main track at Belmont is currently exhibiting a speed bias (though if you needed an excuse in a hurry there are probably worse ones). While her enthusiasm for the circus that is the Triple Crown season is undeniable, it’s unlikely she has ever had the time or the inclination to dig as deeply into racing’s muck as the fellow who sat directly to her right. This conjecture is based on the number of questions from moderator Teresa Genaro (Brooklyn Backstretch) that Catton imploringly punted over to Joe Drape of the Times, who was generally happy to oblige. To be fair, based on his reporting over the past five years, including his recent interview with Ahmed Zayat, quite a few of the evening’s questions effectively had Mr. Drape as the sole intended recipient, often turning Ms. Catton into a spectator. The same could be said for Elizabeth Minkel – who has a regular column at the New Statesman and is the aforementioned Saratoga ticket puncher – but she compensated nicely with her tales from the other side of the betting window. She works the Saratoga meeting and also spent a recent Saturday punching out hundreds of $2 tickets to win on the number 5 in the 11th at Belmont. She has seen the best and the worst of what the racetrack has to offer (and the roughly corresponding range in daily income from tips) and somehow keeps coming back for more, as evidenced by her more than ten years as a mutuel clerk. Look for her across a Saratoga window this summer. She claims to actually like horseplayers, or at least the non-creepy ones. If there were morning lines for panel discussions, it would have been odds-on that the most contentious exchanges of the evening would be between Drape, who apparently is never wrong and could also give Scott Blasi a strong run in an F-bomb-dropping contest, and Ms. Genaro, a high school English teacher from Brooklyn with a strong hold on both the facts and the room. And just like in the 2015 Triple Crown races, the chalk paid out. That two smart and accomplished people with access to the same information should have such completely different points of view tells you why – if given half a chance – horse racing will always be a great game. There is so much upon which to disagree. To take him at his comments, Drape believes that Aqueduct is an equine killing field that should be closed up. That the trainers who race their slow New York-breds and cheap claimers through the winter for racino-inflated purses are welfare queens who should be kicked off the dole. He doesn’t think there will be any real change in horse racing until guys like Bob Baffert and Todd Pletcher get perp-walked. And he apparently has lots of juicy stuff about Ahmed Zayat that the lawyers at the Times would prefer he not share in public. And it all gets very tiring. Towards the end of the evening Genaro challenged her panel to come up with something positive to say about racing, particularly in light of all the American Pharoah hullabaloo. The panel was stumped. They either couldn’t, or wouldn’t, throw a positive bone and make for a happy ending. Genaro called them on it. How, she asked, can you do it? How do you keep wallowing in this muck if it is all so distasteful? Drape allowed that he had endured quite enough of the hay, oats and water diet, and seemed to be earnestly considering taking a leap across the paddock fence. Moderator Genaro turned to the audience and slyly noted the potential job opening. But regardless of Drape’s immediate future, we imagine Melissa Hoppert may have already staked a claim to “next”. It’s not Joe Drape’s place, of course, to come up with happy endings for American racing. And it’s also understandable that being its scourge can get a little tiring. Just as it must be tiring at times for Teresa Genaro to be reliably sympathetic towards certain owners and trainers and NYRA suits who just don’t get it, as Albany fiddles while Rome burns. The public relations burden for racing is that the Times still has reach and influence extending far beyond its net earnings, while industry stalwarts like the Racing Form and the Blood-Horse (where Genaro often contributes) preach only to the choir. The degraded mainstream media offers no comfort to racing, even with all its afflictions. Many years ago the industry could rely on journalist poets like Red Smith and Jim Murray to regularly display their deep affection for the racetrack and thereby help keep a somewhat shady operation within the good graces of the American public. There are no big voices today capable of shaming and prodding the powers that be into taking effective action. Where have you gone, Howard Cosell? What racing needs more than anything else is a motivated and outspoken customer base. If Around2Turns had not already spouted off plenty during the evening (the Sixpoint Sweet Action on draft was delicious) we would have been happy to volunteer a recent positive outcome. We were quite impressed that nearly 12,000 horseplayers and other interested parties took the time to petition the federal government for relief from the ridiculous burden imposed by the current and outdated tax rules on parimutuel wagering. If horseplayers can actually wrangle a victory from Congress, perhaps they will become emboldened enough to demand more, at the faint but playable risk of perhaps getting it. Otherwise, horseplayers should expect their victories to be occasional, small, and virtually meaningless. Like NYRA now being able to take bets and run races on Palm Sunday (just what NYRA needs – another race date). Or like our new Triple Crown winner. Meaningful change will come only when racing’s true constituents forcefully demand it. In all the jazz joints in all the world, there’s not a big-time newspaper guy or small-fry blogger who will tell you that it happens any other way. What 1994 meant to New York Rangers hockey fans (54 years), or 2004 to the Red Sox Nation (86 years): this is what 2015 means to my people. For the long-suffering pilgrims of American thoroughbred racing, there is no more waiting in vain. 1978 is put to bed and the ghosts of Affirmed and Alydar may now rest easy. Lafayette, we are here. It is a wonderful curiosity, this American fascination with the Triple Crown. While the country may pause for a couple of minutes on the first Saturday of every May to chug-a-lug a mint julep, the souvenir glasses tell us there will always be a Derby winner; some more memorable than others. For every Spectacular Bid or Silver Charm – great horses who could not quite complete the crown – there are two or three Lil E. Tees and Super Savers. Winning the Triple Crown is truly exceptional. It happens rarely enough to be generally recognized as historic, and just often enough that it is neither an anachronism (as it is in England, with only one Triple Crown winner in the last 80 years) nor forgotten. American Pharoah’s brilliant performance in yesterday’s Belmont Stakes will ensure that the Triple Crown will remain exactly what it has been since it was first awarded retroactively to Sir Barton for his victories in 1919: an unsparingly difficult achievement worthy of the greatest possible levels of admiration and respect. American Pharoah’s ruthlessly efficient yet seemingly effortless action, which lends to that appearance of him seeming to glide above the racetrack, was the basis of his early fame and almost certainly his armor against the rigors of the Triple Crown. That certain je ne sais quoi that first caught all the eyes at Clocker’s Corner, enabled him, at the end of three hard races in five weeks, to somehow run the last half mile of his Belmont faster than he ran his first. He is the very model of a modern Triple Crown winner. While we have been sharply critical of Ahmad Zayat under this URL (just look one post below this one), this does not hold true for his horse. 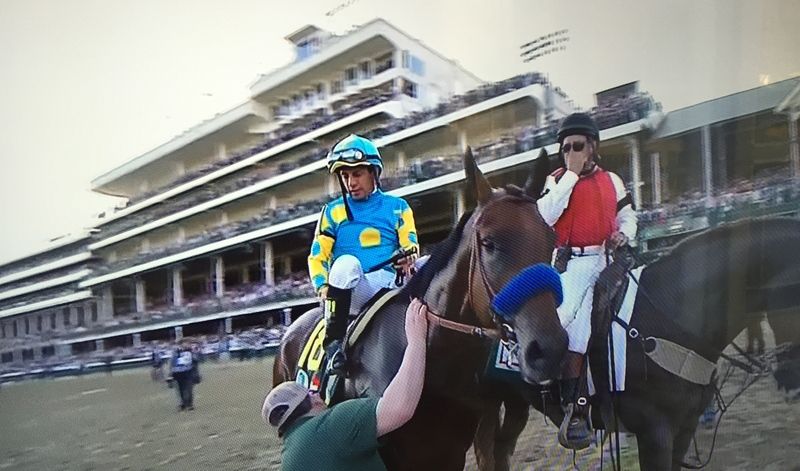 Despite our previous skepticism and that funny tail we can find absolutely no flies on American Pharoah. We congratulate the Zayat Stable family on their great accomplishment. While there are always plenty of things to say about Bob Baffert, what must be acknowledged here and now is his absolute mastery at getting fast horses to run their best in all three Triple Crown races. Yes, other trainers might have been able to train American Pharoah to the same result, but Baffert’s the one who did it. This season should remove any remaining doubt that he is far and away the greatest Triple Crown trainer of the last twenty years. Attention must be paid. The people who constitute the balance of the Baffert team – the assistants and the grooms and the exercise riders – are used to toiling in relative obscurity. For these unheralded contributors, we are reminded of what Red Smith wrote in his forward to Joe Palmer’s This Was Racing: “Those who have had a part in this are well aware of it and have their own satisfaction in it, and would not want credit for what was a great privilege.” We imagine that these hard workers feel much the same way, but we salute them anyway. Credit is also due to the horseplayers, and race fans, and hat-wearing millenials and all of their fellow travelers, who – against what most would consider good judgment – braved the Long Island Railroad and the Cross Island Parkway and the New York Racing Association’s recent history and came away winners, regardless of whatever bets they made. As morning showers gave way to a breezy midday and a gorgeous late afternoon, this 90,000 partnered with one special horse to produce a magic hour that was truly magical. While the sun was getting lower out beyond the far turn as the clock neared seven, Victor Espinoza kept American Pharoah out alongside the westernmost outer rail, well away from the grandstand. While Frosted and Keen Ice could amble about the 1/8th pole in anticipation of the start without attracting attention, Espinoza wisely kept his star waiting in the wings. The glorious uncertainty – that palpable collective consciousness that fills the air before a race such as this – was the strongest I had ever sensed in this my ninth pilgrimage to Elmont’s gates of “History”. To my right I exchanged “thumbs up” with John from Garden City, a serious bettor who had earlier hit the Pick 5 for $11,000, but was now just another anxious fan who had paid $400 on StubHub for a market rate view of history in the making. To my left was a kid fresh out of college whose name I never got, but who was part of a twenty-odd group of youngsters led by a wise old head from Manorville. Racing’s shaky present, sitting side by side with its uncertain future, both of them hoping to find in this 3-year-old colt some magic that could last another 37 years if necessary. Unhappy Triple Crown endings tend to be unique. Some fizzle out early, like War Emblem stumbling out of the gate, or Funny Cide splashing rankly through the slop. Some come crashing down all at once, like Sunday Silence being left behind like Easy Goer’s lost luggage at the top of the stretch. The ones that had seemed the most inevitable going in – Smarty Jones and most certainly Big Brown – were the most painful to watch unravel. 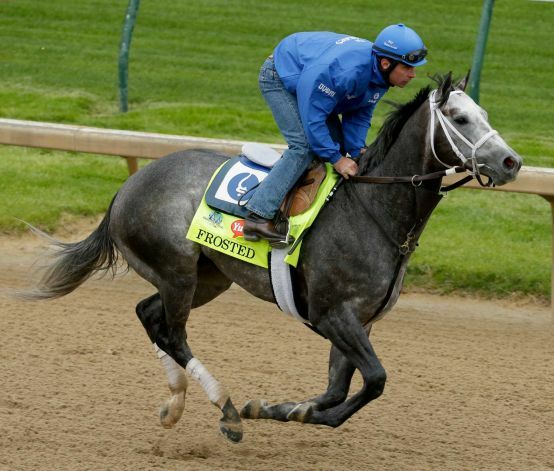 Even though I had a very modest sum on Frosted’s nose, after all these tales of woe, I was eager to find out what a happy Triple Crown ending felt like. The college kid to my left asked – as Espinoza paraded American Pharoah before the grandstand to wild adulation – if the horse had any idea what was going on. “He knows he made his people happy,” I said, meaning Espinoza and Baffert mostly, but also all of us. He must know that now. Next year was here. Ninety thousand people ennobled by a horse. Even if it takes another 37 years to find another, I’m certain that nearly every last one of of those ninety thousand will tell you: it will have been worth the wait. Not to condone the breaking of the ninth commandment, but one of the things that can make journalism fun to read is that the people who participate in its creation are not under oath. It’s no surprise that a reporter’s subject may misspeak for any number of reasons: guilt, ego, money, or, in the notable case of Richard Nixon, because his lips moved. Outright lies are scattered throughout every one of these “he said, she said” newspaper stories, hiding in plain sight, often within quotation marks, like the telltale clues in a well-plotted murder mystery. The fun resides in spotting them out. Sometimes you need a couple of different angles. Especially when the story unfolds over fifteen years and has a cast of characters that includes Ahmed Zayat, the owner of Triple Crown contender (and scourge of spellcheck) American Pharoah; a convicted felon named Howard Rubinsky; two wayward brothers from New Jersey; offshore bookmakers; and agents from the FBI and the Department of Homeland Security. Zayat declined comment and lawyered up when Joe Drape of the Times was breaking this story last week. Zayat is the defendant in a breach of contract suit brought by Rubinsky, a former recruiter for offshore bookmakers. Rubinsky claims to have fronted for Zayat, advancing him two million dollars in credit that Zayat subsequently lost to the bookmaker, leaving Rubinsky to suffer the actual loss. Zayat was deposed in the case last November and has denied owing Rubinsky anything. At least one of them is lying. One of the rare facts on which both Zayat and Rubinsky agree is that they were introduced by two brothers, Michael and Jeffrey Jelinsky, sometime in the early 2000s. The brothers arranged for Rubinsky to be a surprise guest at a breakfast meeting at Zayat’s home in Teaneck, New Jersey. Zayat testified that he thought of himself as a mentor to the two enterprising young lads (whom he had known since the early nineties when they were still in high school), and that the meeting was an investment pitch on which he took a pass. Rubinsky claims that this meeting was the genesis of an eventual contractual relationship regarding lines of credit with the offshore bookmakers whom Zayat subsequently stiffed. Regardless of which side you believe, there is little doubt that fortune has favored Zayat since this foursome sat down to breakfast more than twelve years ago. His Zayat Stables has been one of the leading North American stables since 2007 with horses like Pioneerof The Nile and Nehro and Bodemeister (all Kentucky Derby bridesmaids) and now the Triple Crown aspirant with the misspelled name. Rubinsky has seen financial ruin and pleaded guilty for his role in the operation, leaving him a convicted felon. Michael and Jeffrey Jelinsky were convicted of illegal bookmaking in 2009 and sentenced to 15 and 21 months in prison, respectively, along with a combined forfeiture of nearly $5 million. But while Ahmed Zayat has seemingly flourished, he is apparently the talk of the offshore betting set for having left bad markers in and around the Caribbean. Three days after Drape’s bombshell dropped on nytimes.com, Ken Kurson reported in the Observer (he is its editor) that two men presumed to have a working knowledge of the publicity-shy offshore betting industry contend that Zayat “still owes quite a few sports books quite a bit of money” and has “a lot of debts”. While you may be skeptical about someone who loves being called “The Gambling Globetrotter” (and who, despite all that globetrotting, still finds the time to publish a website dedicated to cataloging Zayat’s less-favorable press), the fact that there are others who support Rubinsky’s assertions suggests there may well be some pale fire here and not just smoke. It seems Kurson did a great job of getting under Zayat’s skin, because rather than say “no comment” and refer to counsel, the defendant opened up his yap and proceeded to protest just a bit too much. Maybe it was Kurson’s sources with inside information about the offshore books. Maybe it was the odd bit that Kurson related firsthand from his previous stint in politics, where Zayat apparently did not vet out sufficiently to be cleared for hosting a 2007 fundraiser for the presidential campaign of Rudy Giuliani. Whatever the reason, Zayat did himself no favors with this interview. Kurson quotes Zayat as saying “He’s talking about me betting overseas in Costa Rica. I’ve never in my life been in Costa Rica.” Whom is Zayat trying to fool with such inanity? Even a piker of a punter such as your correspondent knows the advantage to having an offshore account is that it allows you to bet beyond the reach of the US government while keeping yourself safely onshore. Zayat told Kurson “He’s talking 2003. I was in Egypt, as CEO of a beverages company. I was working 18 hours a day. It’s an insanity.” Back then Zayat was spending roughly three workweeks out of every month in Egypt. But he was also spending weekends and down time with his family at his home in Teaneck, which is where he acknowledges meeting with the Jelinskys, who were by then based in Las Vegas and becoming well acquainted with high-stakes offshore bookmakers. In 2013 Zayat suffered the embarrassment of having an untruth detected in his official biography. Even after all of his success in business, and despite actual degrees from Yeshiva and Boston University, Zayat continued to list a nonexistent MBA from Harvard on his CV. It was only when the Record of New Jersey raised the fact that Harvard had no record of his ever having attended that Zayat had the bogus degree scrubbed from his stable’s website. But old habits are hard to quit. About 18 months after the Record revealed his ivy-covered untruth, Zayat found himself in an east side law office, under oath, being deposed by Rubinsky’s lawyer. Q: Where did you attend (college)? A: Yeshiva University, Harvard University and Boston University. If Zayat cannot bring himself to be truthful about his classroom achievements while under oath, how can you believe anything he might say to a newspaper reporter about millions of dollars in illegal offshore betting? In his sworn deposition, Zayat stated that he handed over hundreds of thousands of dollars to the Jelinskys and smaller amounts to Rubinsky, but he represents these as loans and acts of charity to beleaguered individuals, and not the partial settling of gambling debts with three soon-to-be convicted felons. The $600,000 in purported loans to the Jelinsky brothers caused a stir when they became part of the public record after Zayat Stables went through bankruptcy proceedings in early 2010. This came roughly a year after the Jelinskys pleaded guilty to illegal bookmaking and would seem to put Zayat in the unenviable position (for a big-time thoroughbred owner) of having associated with known bookmakers. But Zayat seemed to have dodged this bullet back then, owing to his long personal history with the brothers, and his insistence that these were mitzvahs, and not payoffs on gambling debts. But one line in Joe Drape’s February 20, 2010 story about this episode clearly shows that Zayat is all too willing to dispense with the truth whenever it suits his purpose. Zayat told Drape in 2010 that he had never been contacted by law enforcement authorities about the Jelinskys’ illegal activity (presumably because that would have indicated that he had been knowingly dealing with bookmakers). But in his deposition from last November, Zayat not only testified that he had been visited by agents from the FBI and the Department of Homeland Security in May of 2008, but that he had placed bets with Michael Jelinsky during the time period when Jelinsky confessed to having been illegally booking bets. Should American Pharoah go on to win the Belmont Stakes and you happen to hear a mighty rumbling when Ahmed Zayat raises the Triple Crown trophy above his head, don’t worry: it’s probably just the sound of Jule Fink (the most unfairly maligned owner in racing history) turning over in his grave. We close this inquiry into untruths and their seeming lack of consequences with this: The Observer reported that Zayat cited the timing of Rubinsky’s suit as a way of capitalizing on the sudden fame of American Pharoah and Zayat Stables. Rubinsky filed his suit in March of 2014; five months before the start of American Pharoah’s racing career. 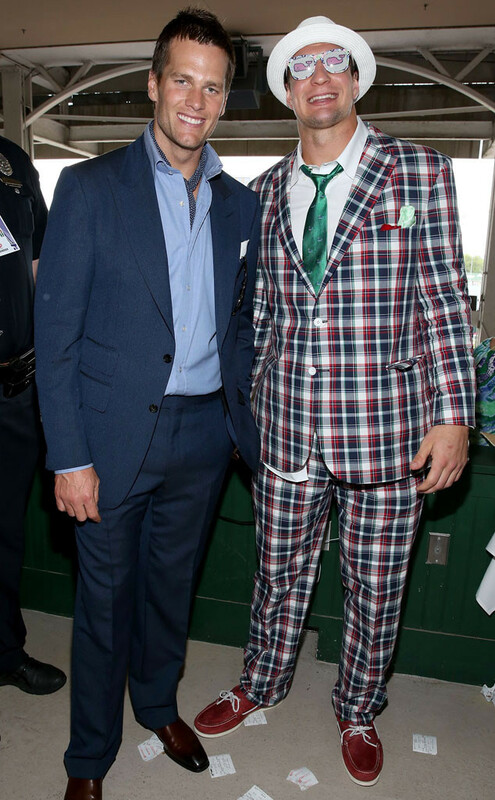 If Rubinsky had American Pharoah in mind when he brought this suit, it would represent the greatest futures bet in the history of throughbred racing. My Preakness bet arrived in the mail just the other day. To be precise, this particular “bet” is more like a Derby & Preakness parlay, since I made it before American Pharoah won a garland of roses, a trip to Baltimore and two weeks off by winning the Kentucky Derby (no, Firing Line did not win two trips to Baltimore by coming in second). 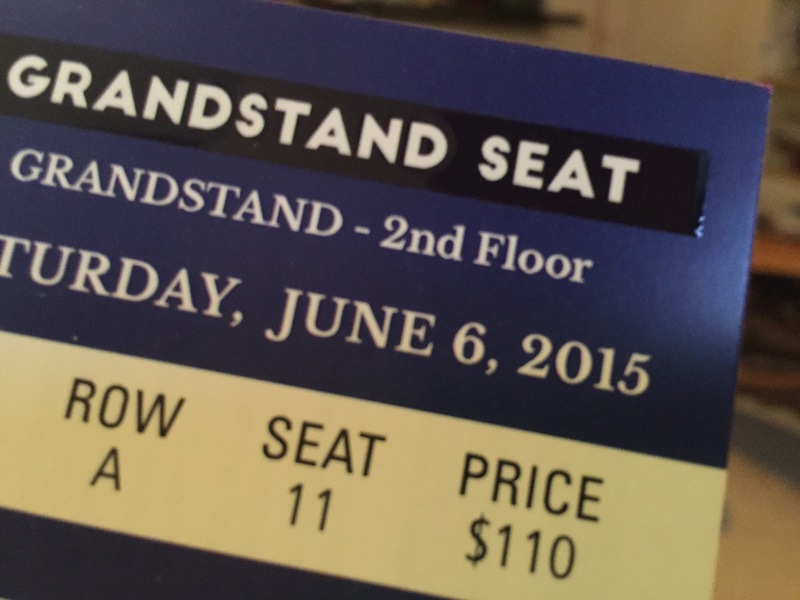 I didn’t think of it as a bet until after reading this post by my friend Richie, who pointed out that perhaps the only way to get 4-1 odds on American Pharoah winning the Preakness (short of betting a winning cold exacta or an awfully chilly trifecta) was to buy seats to the Belmont Stakes and then scalp them find someone willing to pay the free market rate for them on Stub Hub after another victory by the Pharoah. It is quite possible and even likely that if American Pharoah wins the Preakness, this little ducat could be worth $550 to some sucker champion of the free market, but that’s not really the reason why we went with the USPS as our runner. After having attended sixteen out of seventeen runnings of the Belmont between 1989 and 2005 (missing only Julie Krone’s triumph aboard Colonial Affair in 1993), one day this pilgrim’s devotion wavered. The prospect of a warm and crowded Big Sandy started losing ground to the charms of a late spring day in Columbia County. Sometimes (2006, 2010), it was because the big race was just not that compelling. Sometimes – ironically enough, after all those years of hoping to see a Triple Crown winner – it was out of concern that the wrong “horse” (read: trainer) might finally end the drought (2008, 2012). But in May of 2013, Orb failed to win at odds-on in Baltimore and the lure of distressed market rate tickets on Stub Hub proved impossible to resist. It turned out to be a splendid day, and it was great to be back in Elmont on the biggest day of the downstate racing calendar. When the New York Racing Association gilded a perfectly nice lily by adding the Met Mile to an already stakes-loaded card last year, the thought of taking a pass on Belmont Day went out the window, perhaps never to return. These last two years have added a new question to be asked during the buildup to the Derby. How likely is it that the winner of the Derby might also win the Preakness? Without a standout favorite, there would be a strong likelihood that two different horses winning the first two legs of the crown would once again knock the legs out from under the secondary market. But even though we only used California Chrome and American Pharoah defensively in our Derby bets, their pre-Derby reputations suggested that a Derby win would result in a near-walkover of a Preakness and make it a seller’s market for Belmont seats. So the risk/reward scenarios that danced before us were not so much the idea that Belmont seats might quintuple in value, but whether we would be able to wait a while and then get them on the cheap. The ducat is not for sale regardless of where American Pharoah finishes later today. The question is whether or not paying retail four weeks ago was the right move, and the Derby winner will provide that answer presently. By sneaking in under the wire on Sunday afternoon with a regrettable 1,600 word piece on Derby Day in Columbia County, the first year of Around2Turns came to a crashing and inglorious end. It was our 24th blog post and came 364 days after making our maiden voyage with this more buoyant number on the announcement of Tom Durkin’s pending retirement. What can I say? Even at a rate of two-per-month they can’t all be gems. I make this post not to offer self-congratulation for such uneven and ill-scheduled contributions to the state of online horsetalk, but rather, to thank my small but cherce collection of readers for clicking through to here from someplace better, and hanging around for as long as they could possibly stand it. Like Christopher Kay of the New York Racing Association, we here at Around2Turns pledge that – here in Year 2 – we will do our utmost to make your guest experience as free from drudgery and squalor as can reasonably be expected. Towards that goal, let’s take a brief look at the things that seemed to be OK last year, and how we might manage to do more of those (and fewer of those other ones) from hereon. “The Drama King” piece on Durkin was that rare bird among the two dozen, as it was posted while a breaking story was still fairly fresh, making it a timely piece. Since I continue to be gainfully employed on the business side of that place where Red Smith toiled following his Women’s Wear Daily days, these sort of “newsy” bits will often be subject to the vagaries of my off (writing) hours. And if a fresh take or unique angle can’t be provided? Then, dear reader, what’s the point? You might just as well re-read the story you already saw in the pages of what Smith used to refer to as “Pravda“. A story that came as a complete surprise, even to me, was the piece about Daniel Colman (“A Gambler’s Problem” – thanks to Justin Finch who figured this sordid affair was in my wheelhouse and tipped me to it). It would be great to be able to come up with more like that one, but there are only so many Daniel Colmans in the world, so we will just hope to get lucky and go from there. Some of the more personal things (“The Final Hurdle” and “Sometimes a Cigar is Just a Cigar”) were OK, but we would really prefer to do less of this sort of thing (too many I’s and me’s and we’s), even if this is technically a blog. And speaking of it being a blog, until I can get to a twice a week schedule instead of twice a month, it’s probably better to think of Around2Turns as a website where I occasionally post things. The best thing to show up here was the “Trust and Consequences” piece on the Steve Asmussen and PETA affair (you can scroll down to find that one). While this one was certainly au courant, what really helped was having a Kentucky Horse Racing Commission report to dig into and present in a way that you were unlikely to see elsewhere. This piece getting a Twitter shout out from Steve Byk – along with really nice comments from my friends on the Thoro-Graph board – was the highlight of my year. And that is really why I wanted to write this post. When I first hit “publish” one year ago, my personal morning line said Around2Turns was no better than even money to last the year. But getting encouragement from a bunch of smart people who I have an awful lot of respect for has helped to make this folly feel like something more, and makes me want to do better. So thank you to all the people who click over from Thoro-Graph or the Ragozin board or from PaceAdvantage or Twitter or wherever you may find me. Special thanks to good friend Jerry Brown, who has always been encouraging and allows me to hang out my shingle on his rollicking message board. And one more special thank you to Justin Finch and Marc Attenberg of TimeFormUS, who have been quite early and explicit in their encouragement. Thank you all, and here’s to hoping that the next few photos go your way. Another first Saturday in May has come and gone, taking another Kentucky Derby and American Pharoah’s cloak of invincibility along with it. Maybe in another four weeks the Derby winner will have caught back up with his hype and made history by becoming the 12th winner of the American Triple Crown. Maybe not. Either way, the long stretch drive at Churchill Downs last Saturday showed that while American Pharoah is indeed a game and talented horse, for now he remains just that: a horse. It figures to take a bit more than what he showed in reeling in Dortmand and Firing Line for him to reclaim the mantle of equine legend in the making. But before we get to skipping right over the Preakness (kind of like Todd Pletcher, who has had one Preakness starter since Super Saver in 2010), let’s take one more look at the 141st Kentucky Derby. The favorite won again, making them five for their last nine, and seven for their last sixteen, following the 20-year drought of the eighties and nineties. Only Carpe failing to seize the Diem prevented the first five betting choices from filling out the Super Hi-Five, making this perhaps the chalkiest Derby in recent memory. Despite being billed as the deepest and most talented Derby field in years, it played out like a boat race, with the horses running 3-2-1 all the way around the racetrack finishing up 1-2-3 (word is even Floyd Mayweather found it boring). Yes the hyped-up super horse prevailed, but only after Victor Espinoza thumped out 8 bars in 4/4 time on American Pharoah’s flanks, getting the two of them through a contentious final quarter in 26 seconds plus and putting to bed, for now anyway, the Seattle Slew comparisons. All that for a $7.80 win mutuel and a $202 trifecta (100-1 odds for a bet that had nearly 5,000 possible outcomes). Afterwards it was said that some people felt deflated by the result, but you’d never know it by some of these photographs (swiped from eOnline). Everyone seemed happy enough (at least for the time being). But for horseplayers who were subjected to watching the Derby telecast on NBC – a network that tends to treat its other championship events with a touch more respect – it’s a reminder as to where racing and the Derby stack up within that great American subconscious. Sure it’s a great horse race with wonderful Kentucky traditions that resonate across the country: huge betting pools; mint juleps; the fleecing of outsiders; a lightly edited Stephen Foster song; plus a collective and bizarre obsession with hats that lately seems to have hurdled what remains of the gender divide (yeah, I’m talking to you, Gronkowski!). The TV ratings tell us that the only two horse races that Americans care about are the Kentucky Derby and the Belmont Stakes (and that number falls to one in years when the Derby winner fails to repeat in the Preakness). And to judge by the Derby broadcast, NBC isn’t all that sure how Americans feel about the horse racing part of the horse race, hence the hedging with the celebrity and headwear coverage. It’s a sad state of affairs. From the 2-year-old races the previous summer at Saratoga and Del Mar, up until the time when they finish compiling their alibis for why their horse lost, horseplayers are obsessed with the Derby. But for most Americans, if they think about the Derby at all, the day represents a chance to throw a party, to start drinking bourbon in mid-afternoon, and to watch a show about hats that concludes with a horse race. 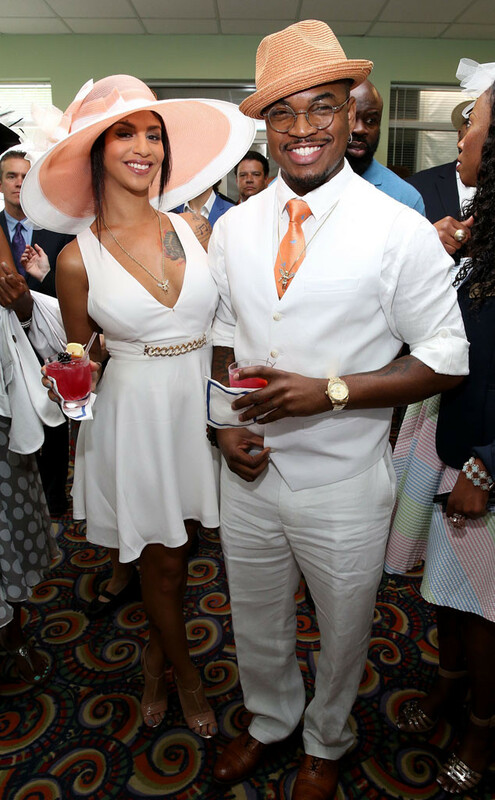 It’s a rite of spring, with horseplayers focused solely on the rite, and the balance of the audience lavishing in their annual spring revelry. Easter hats without having to go to church. Even if the commonwealth of Kentucky only threw a big-money horseshoes tournament, the first Saturday in May would still tend to be a pretty great day across most of America the Beautiful (with some carve-outs for the odd tornado here and there). Here we go again, tornado shelter time. And so it was here in Columbia County, near the eastern bank of the Hudson, just downriver from the Rip Van Winkle Bridge. Around here we don’t refer to it as “God’s Country”, but not because it isn’t pleasant. It is. More so because we are humble city folk with second homes who would find it presumptuous to handicap where God might choose to spend his weekends. Besides, what if he were to want it back someday? 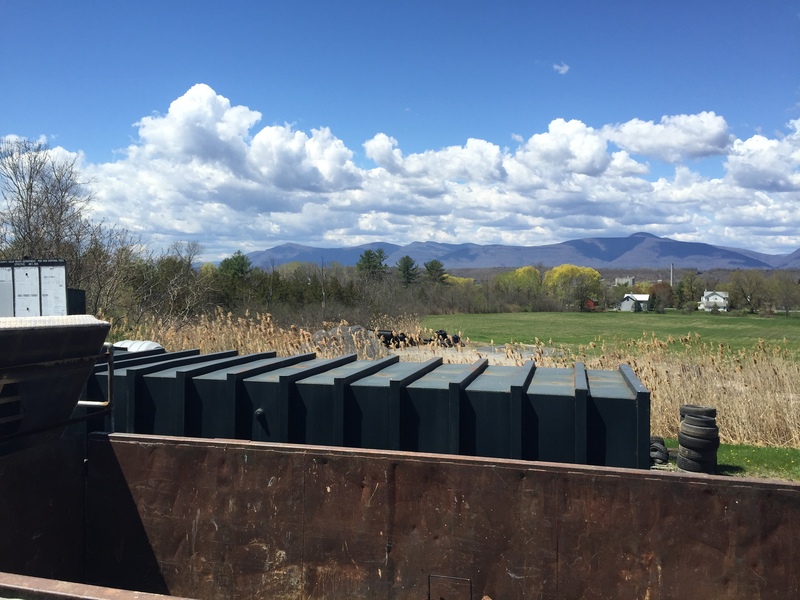 While it was a wonderful day in the Hudson Valley and across much of the country, it turned out to be a pretty lousy day for the three Derby horses who were foaled in New York. We are too lazy to do the research but are willing to bet that these three broke the record for most New York-breds entered in a single Derby. A couple of them were even thought by some folks to have a decent chance at winning if the favorite didn’t turn out to be all that. But International Star was a late scratch due to a foot problem, and the Upstart that ran in the Derby was not the same Upstart who had run a bunch of fast races at Aqueduct and Gulfstream Park. Upstart never really got into the race, was eased and finished last, while the 52-1 Tencendur finished next to last. Excelsior! The two horses that captured our imagination were the horse we bet on, Frosted (we have a soft spot for pretty grays capable of running negative Thoro-Graph speed figures at double-digit odds), and our sentimental choice (who, at 4-1, we might have bet with your money), the hulking, sad-eyed Dortmund. Dortmund’s sire, the 2008 Derby and Preakness champ Big Brown, had recently moved into the neighborhood, so it seemed like a good idea to stop by for a visit and to wish him good luck on the occasion of his son’s big day. And anyway, it was too beautiful a Derby Day to spend the entire afternoon inside betting races on a computer. The drive from the southwest corner of Columbia County to Pine Plains in Dutchess County takes you along beautiful winding roads which partly trace the fall of the Roeliff Jansen Kill on its way to meet the Hudson in Linlithgo. After navigating the one stoplight that constitutes downtown Pine Plains, a few graceful turns and an uphill road take you to Dutchess Views Farm, home to the 2008 Horse of the Year, Big Brown. The last time New York stood a horse with the accomplishments of Big Brown was back when Spectacular Bid was exiled to Milfer Farm in Unadilla, after his big-time stallion career turned out to be the polar opposite of his towering career on the race track. But Big Brown is only ten years old, not yet a failure nor a success in his second act, and his arrival in Pine Plains has shaken things up at the otherwise tranquil-seeming Dutchess Views Farm. Anya Sheckley, who with her partner Michael Lischin run the place, seemed to wonder how much busier things could possibly get at the farm if Dortmund were to win the Derby. 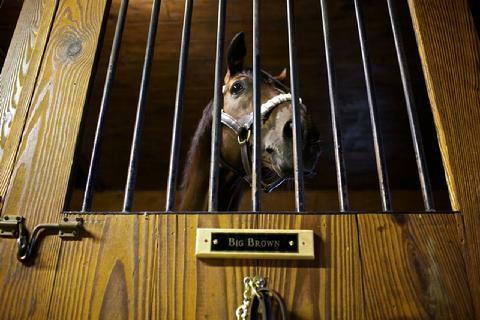 With a book of 140 mares, Big Brown has already had a huge impact on business, which is why a supply of carrots is always across from his stall; to compensate the big fellow for putting up with slack-jawed admirers like me, spoiling his increasingly rare quiet moments. On taking my leave Anya and I briefly discussed the race, agreeing that Dortmund had a good shot, but that the field was very tough, and the favorite was indeed formidable. “Starting from the outside might be good for him”, she said, speaking prophetically of American Pharoah. Driving back west alongside the Roeliff Jansen Kill, I thought back to Big Brown crushing the Florida Derby from the impossible 12 post going 9 furlongs at Gulfstream, and then dominating a 20-horse Derby from the outside stall. Starting from the outside was good for him too, but it takes a hell of a lot of talent to win a race from the parking lot. But all the talent in the world may not enough be to overcome unreasonable expectations. And what is the Triple Crown, if not a series of unreasonable expectations. It’s unfair, as Steve Coburn found out last year with his California Chrome. Maybe one of these days the stars and circumstances will align, and a great and lucky horse will win the Triple Crown. But it’s not the way to bet. Most years the Kentucky Derby favorite is just that – the three-year old with the most money in the win pool. Some years the favorite is a standout, and the question is how low the odds will go in in a race that can often resemble a mile-and-a-quarter-long pinball machine (Big Brown in 2008 is perhaps the most recent example – he was just a bit shorter than 5/2 when starting from the outside gate). And every once in a great while a horse comes into this race as not just the favorite, but as the chosen one. A super-horse. A legend in the making. One for the ages. A horse like American Pharoah. But relatively recent history informs us that these short-priced legends in the making frequently become unmade in the Kentucky Derby. Sometimes a really great horse simply picks the first Saturday in May to throw a clunker (Holy Bull and Point Given come to mind). Sometimes a horse is able to establish a sterling reputation on what are later deemed to have been dubious or irrelevant credentials (see Arazi and Mister Frisky). And every once in a while a horse is anointed as a can’t miss Derby winner out of an abundance of raw talent, an even greater abundance of hype, and a curt dismissal for the chances of some legitimate competition. The “relatively recent history” cited above begins in 1989, which was when I first started paying attention to horse racing. 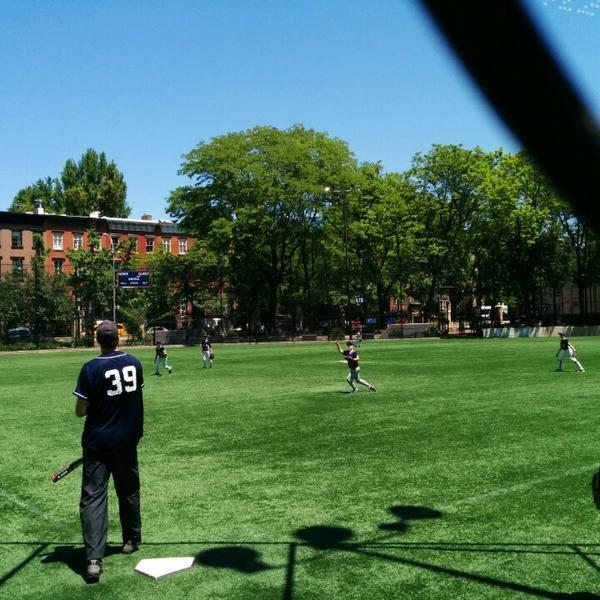 Up until then my warm weather nights and weekends had been spent mostly in the fragrant upper deck of Yankee Stadium, or on the softball fields of Central Park’s North Meadow, or downtown along the East River, or within the friendly confines of J.J. Walker Field in the West Village. But I was drifting away from baseball. A key moment came late on a Saturday afternoon in early April in the midtown offices of Sports Illustrated magazine. Two of my best friends worked there and had invited me to join their team in the magazine’s rotisserie league. 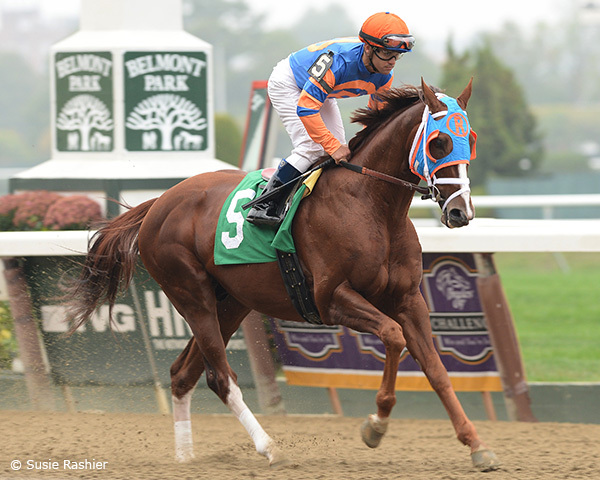 Late in the too-long process of drafting players a sportswriter reappeared in the conference room with some very important news: Easy Goer had just broken Aqueduct’s track record for a mile in the Gotham Stakes. What little I knew of horse racing in those days came from being a regular reader of the New York Times, whose racing writer – impossible as this may seem today – was a youngish, astute, shaggy-haired fellow by the name of Steven Crist. After Easy Goer romped again two weeks later in the Wood Memorial, Crist wrote the story pictured below and for the first time in my life I really cared who won the Kentucky Derby. It didn’t matter that Easy Goer would be a short-priced favorite. Crist’s smart and funny analysis had convinced this neophyte that, for this year anyway, the Derby favorite was sure to win. Even if I didn’t know Charlie Whittingham from Charlie McCarthy. Or that Easy Goer had faltered on a muddy Churchill Downs racetrack the previous fall. Or that risking dollars to win dimes was not an effective strategy. Or that I should never fall in love, even with a big handsome fellow like Easy Goer (anyhow, it was already too late for that). At that time the nine-year streak of losing Derby favorites was the record. That stretch of betting favorite futility would grow to twenty before Fusaichi Pegasus finally broke the string in 2000. In those early racing days I bet on a lot of favorites and short-priced horses, so Kentucky Derby days in the early-to-mid-nineties typically ended in disappointment and torn up tickets. As the string of losing Derby favorites continued I finally woke up and started playing longer-priced horses but failed to land on any winners. And sure enough, when the trend reversed and favorites started winning the Derby at a more regular rate (since 2000 favorites have won the Derby at a 40% clip, and they are four for their last eight), this coincided with a new-found stubborn insistence on betting price horses and tossing the favorite, period. Accordingly, the Around2Turns Derby ROI is unenviable (consider yourself forewarned). This seems to be the question. 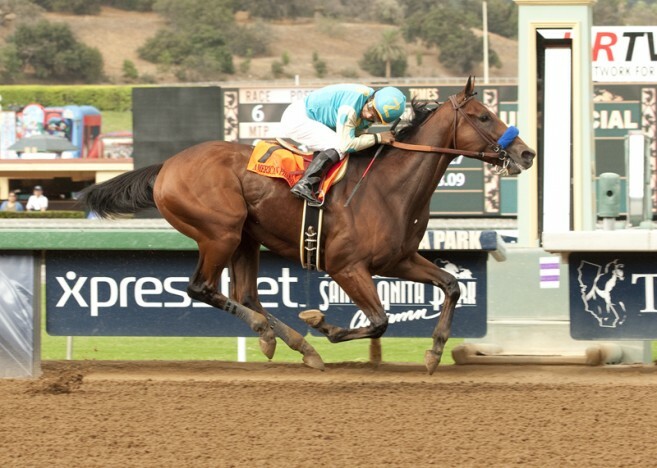 Is American Pharaoh the second coming of Seattle Slew? Or maybe he’s an over-hyped (if smartly campaigned) morning glory whose armor might crack once/if he finds out there are other three-year-olds who can in fact run with him. If this seemed to be an ordinary crop of three-year-olds it might be easier to believe the hype and start figuring out the minor parts of the triple and superfecta, but the quality of this Derby field extends far beyond the favorite. How can you not consider a strapping, undefeated Santa Anita Derby winner trained by Bob Baffert? Or another undefeated speedball capable of winning the Florida Derby in only his third lifetime start? Or a runaway Bluegrass Stakes winner whose only loss was a second place finish in the Breeders’ Cup Juvenile? Or a tough-as-nails New York-bred who has danced every dance and has run more fast figures than any other Derby contender? While it is possible that American Pharoah is every inch the superstar that all those early-risers at Clocker’s Corner believe him to be, let’s also remember the basis for his lofty reputation. He works better in the morning than anyone since Katie Couric. In the afternoons of his 3-year-old season he has run away and hidden with contemptuous ease from the likes of Madefromlucky and Mr. Z. He has beautiful action and seems to float across the racetrack and does not seem to get tired despite all his brilliance. What American Pharoah does not have are speed figures that truly set him apart from several of the other top contenders. When Big Brown won by daylight in the 2008 Derby his fastest Thoro-Graph figure going into the race was roughly three points better than his closest competitor. While American Pharoah did run a big figure while being geared down in his Arkansas Derby romp, he will be facing three others in the Derby who have run faster (on Thoro-Graph figures), and several others who are within range with a point or two of improvement. American Pharoah is one lousy post position or one serving of bad racing luck away from being an extremely vulnerable 5/2 Kentucky Derby favorite. So while the quality and depth of this Kentucky Derby field make American Pharoah seem like a somewhat shaky 5/2 choice going in, it could also make for an extremely compelling story coming out. If he can take on everything that Materiality and Carpe Diem and Dortmund and Upstart and Frosted and the racing gods throw at him and still come out on top, American Pharoah will have proven the myth makers and clockers correct. Which is just what the world needs: One more reason to believe the hype, and yet more evidence for the value of waking up early in the morning. It remains pretty cold here in New York. Lousy weather for racing. Wonderful weather for staying inside and surfing the web, looking into decorative options for the Around2Turns clubhouse. This beauty clearly dates from the mid-to-late 1960s, as the Op Art style (makes it look as if those horses are about to run right over you) was quite fashionable at the time. Also, those dates are a perfect match for the Aqueduct fall season of 1968. So when the 1969 racing season finally opened, 40,145 grateful punters descended on Aqueduct to see what could be made of nine races with win-place-show betting and one daily double. But times were changing. It was the year of the moon landing, Woodstock, and the Miracle Mets. 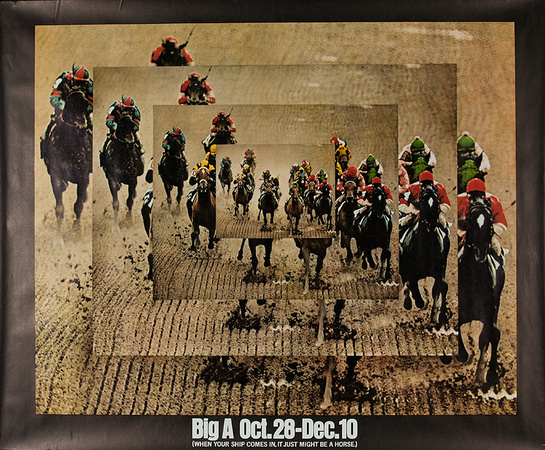 In the March 11, 1969 sports pages of the New York Times, the headline read “Girl Jockeys invade the Big A”. Three days later, Barbara Jo Rubin became the first girl jockey (she was only 19) to win a race on a NYRA racetrack, guiding home a 2-year-old filly trained by noted feminist Howard “Buddy” Jacobson. Aqueduct opened again on March 10 in 1970, but in subsequent years the legal opening date of the racing season kept getting nudged up in the calendar, while the mandated closing date was similarly bumped in the opposite direction. This allowed for an increase in racing dates; a roughly proportional increase in handle; and, not coincidently, a roughly proportional increase in the millions that would go as tribute to Caesar (or, as we knew him, Governor Rockefeller). The 1975 season started on February 24th; a mere seven weeks after the “1974” season had ended on January 4th. In only six years a full six weeks had been converted from dark days to racing days. Hail, Caesar! 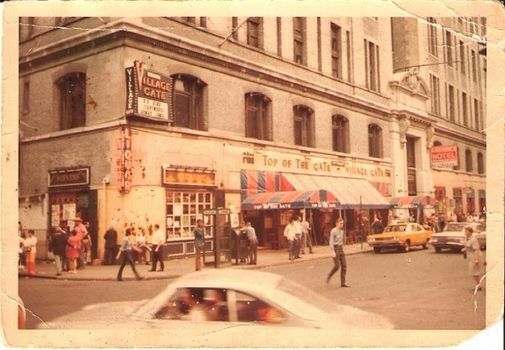 It is also fair to note that 1975 was a time of great economic struggle in New York City and beyond. Mayor Abraham Beame flirted with municipal bankruptcy while angling for a federal bailout that never arrived, prompting the famous Daily News headline: “Ford to City: Drop Dead”. In his February 24, 1975 story about the earliest opening day in Aqueduct’s history, the Times’s Joe Nichols wrote that “the early openings seem a sign that year-round racing here is on the way”. Nichols was correct. The deal was done in a matter of months. The substantial cost for winterizing the Big A would be paid by the state, which would forego half of its share of the take for January and February racing over a ten-year period. In other words, the New York State government – calculating correctly that 5% of something was more than 10% of nothing – agreed to let horseplayers pay for the pleasure of having year-round racing. It was a tax grab pure and simple, and horseplayers have been paying ever since, in more ways than one. Steve Cady wrote a remarkably prescient column in the Times that September titled “Improvement of the Greed”, which suggested that perhaps the name for the new (inner) track should be “Break-a-Leg Downs”, and asserted that the state was magnanimously providing a service that no one outside of certain back rooms in Albany had ever requested or even knew they wanted. – The new one-mile course of sand, clay and salt will enable Aqueduct to do what bush-league tracks in the Northeast have been doing for some time: run right through the winter, or at least on days when blizzards or freezes or thaws don’t force shutdowns. – Extra dates are “requested” by the tracks, and “granted” by politically appointed state racing commissions. What really happens is that the legislators, often with the support of spineless track operators, order more and more racing. Here’s what the head of the precursor to today’s New York Thoroughbred Horsemen’s Association had to say. At least some things are eternal. Here’s a word from a NYRA spokesman, along with Cady’s spot-on coda. This is what has brought us to today’s bitter cold reality. Predictably, NYRA cancelled racing again today, citing the “abundance of caution” that has become their mantra. Just as predictably, NYRA’s “A of C” was mocked on Twitter by one of the few remaining winter racing dead-enders (reportedly in the last throes of their insurgency). But based on NYRA’s record since Miss Macarena became the 14th fatality of the winter meet on January 22nd (by my count, 10 of the last 20 cards have been cancelled), I’d say that their being currently in possession of an abundance of caution is perhaps one of the most truthful things ever said in the entire recorded history of press releases. As the saying goes, it would be a shame to let such a good crisis go to waste. Bill Finley wrote a great column today, calling for the end of winter racing in New York. The editorial board of the Times has already provided their political cover on the issue. If ever there was a chance to get out from under the ill-advised, tax-starved decisions from forty years ago that brought us this bush-league racing product in the first place, this is it. Here’s how it could go down. You can’t expect Christopher Kay to play a leading public role, as he’s a businessman with a politician who just got re-elected to another 4-year term for a boss. What he needs to do is drop the “enhanced guest experience” crap for a minute and whisper into the appropriate ear that what NYRA has is a “branding problem” (I hate this business-speak, but, when in Rome). Winter racing, and all the calamities that come with it, are dragging down the NYRA brand. Eliminate state-mandated winter racing dates and ordinary levels of caution will soon become sufficient, leaving NYRA to lavish its abundances upon their guests, with goodness and tribute destined to ensue, just as sure as Groucho follows Zeppo. Granted, those words didn’t work last time, even though the speaker had plenty of authority and oodles of integrity. That was nearly forty years ago, when the estimable, six-term New York State Controller Arthur Levitt gave an address at the Museum of Racing on Union Avenue. The message is still golden. It’s the messenger that’s gone missing. These words of wisdom come to mind because the latest developments in the case of PETA vs. Asmussen currently being waged in the court of public opinion suggest that there is such a thing as one love too many, and that in this case, too much trust was extended to too many, to the detriment of all. While there are quite a few similarities between the Asmussen affair and basketball’s Los Angeles Clipper ownership scandal (which ran nearly concurrently last spring), at least Donald Sterling got two billion dollars in Microsoft money for his team and his trouble. Asmussen, along with his top assistant Scott Blasi and the truth, just got screwed. Now that the Kentucky Horse Racing Commission (KHRC) has made their findings known (a separate report from New York’s Gaming Commission is expected within the next few weeks), we’ve assembled a timeline that may be helpful in summarizing what went down. April 13, 2013 – PETA’s undercover investigator is licensed as a stable employee for Steve Asmussen by the KHRC. May 4, 2013 – Nehro is humanely destroyed. 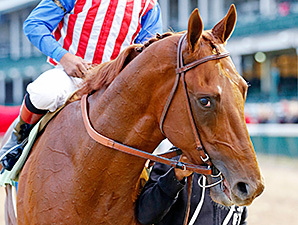 Orb wins the Kentucky Derby. March 17, 2014 – KR telephones Blasi, who subsequently told the KHRC that she was “… hysterical. Telling me what a good person I was”. From this we surmise that KR has now seen the edited video, and knows the license plate of the bus that will run over her ex-boyfriend in a couple of mornings. April 29, 2014 – Scott Blasi is interviewed by the KHRC. April 30, 2014 – PETA tells BloodHorse.com that they have given seven hours of video to the New York State Gaming Commission, and that they are “arranging to do so” for the KHRC. May 16, 2014 – PETA informs the KHRC via email (see page 4 of the KHRC report) that all relevant information pertaining to their March 18th complaint was provided with that complaint. Despite repeated requests from the KHRC, PETA never provided either the 7 hours of video, or the “285-page report” (KR’s notes and other documentation) that was provided to the Times. So much for cooperating with the KHRC’s investigation. May 28, 2014 – PETA investigator KR is interviewed by the KHRC. June 2, 2014 – Steve Asmussen is interviewed by the KHRC. July 29, 2014 – Joe Drape reports in The New York Times that Scott Blasi has been rehired by Steve Asmussen, and is working at Saratoga. “We are better with him”, Asmussen told the Daily Racing Form. Asmussen’s rehiring of Blasi was the last significant development in the case until last week, when the KHRC released its 27-page report, clearing both Asmussen and Blasi of any rules violations. PETA responded to this news in its typically calm and even-handed way by stating that the KHRC had “today distinguished itself for being as uninterested in horse welfare as the Syrian government is in human suffering.” Unsurprisingly, Joe Drape opted for PETA’s not-insane quote in his story on the KHRC report. The fact that Blasi and KR were lovers never arises in Drape’s reporting. Sure, they are not exactly Cary Grant and Ingrid Bergman (or even – to compare more accurately – Claude Rains and Bergman), but the “Notorious” aspect of this case is something that many people find hard to set aside, and it’s curious that it gets no mention in the Times. It’s one thing to be a duplicitous undercover investigator in service to a goal that you deem to be altruistic, but to also be sleeping with the subject of your investigation seems to be out of bounds to some people. PETA’s aim is to make guys like Asmussen out to be monsters, when what they really are is typical (albeit above average, results-wise). This is where PETA goes wrong. Instead of seeing decent people operating in a flawed environment and turning their efforts towards improving the environment, PETA’s approach is to demonize decent people and try to destroy any environment they deem to be flawed. Small wonder they have so few friends. Within a few weeks we should see if the New York Gaming Commission concurs with the KHRC. The betting here is that they will. But even if Asmussen and Blasi are cleared by the NYGC, there is still the remaining issue of PETA’s complaints about wages and phony Social Security numbers, which fall under the jurisdiction of state labor boards and the Internal Revenue Service. If Asmussen does not escape these charges, some people are bound to say it would be like getting Al Capone on tax evasion, and I suppose that could be true. If, that is, Steve Asmussen were a mass-murdering crime boss, or Al Capone was a better-than-average thoroughbred horse trainer with some blemishes on his record, and who might have employed some undocumented workers. A couple of summers ago while sitting around a table at the Carousel restaurant at Saratoga Race Course waiting for a rainy Saturday’s nightcap to commence, a horseplayer noted that the favorite was longer than expected. This sparked the suggestion that perhaps “Getting Out Fever” was once again influencing the “Win” odds, creating an overlay on the favorite. This seemed to be a classic example (briefly, this “fever” is thought to sometimes inflate the odds of the betting favorite in the last race of the day because enough losing players are looking to “get out” by pounding on horses with long odds). Sure enough, the overlaid favorite won like a 3/5 shot, while paying 8/5. Easy game! I bring this up now because I seem to have a disorder related to Getting Out Fever, but one of a seasonal variety. From New Year’s Day through the start of the Santa Anita meet that begins on Boxing Day, I am immune to any such fever. Whether I am up a bit, or even down a bunch, if I don’t like the last race on the card I can take a pass just as easy as if it was fruitcake for dessert. But when, as in 2014, it has been a losing year, something changes for me in the 52nd week. The end of the calendar year brings with it all of the associated familial tripwires, ritualized drinking, bourbon-soaked reflective thoughts and musings on potential self-improvement that we have come to expect from the holiday season. But, rather than taking a critical eye to “betting 2014.xls” (here on my hard drive) and its tally of parimutuel woe, I see instead visions of boxcar payouts, and feel a tremendous urge to get out. Anyone can have a bad day at the track. It’s the long haul of the calendar year that separates the winning horseplayers from the losing ones, and I’ve found it is much preferable to associate yourself with the former. It’s worked for me in the past (see Chips All In’s turf debut about 5 hours before 2012 arrived in the Eastern time zone – belated thanks for the free holiday Thorograph data! ). And although it has been a truly bad year at the windows for us at Around2Turns, on Boxing Day 2014 it was decreed that I was theoretically within reach of the promised land. But, alas, it was not to be. I played some Gulfstream and Santa Anita races whilst visiting with the in-laws in unusually pleasant (for December) Buffalo over the weekend, but the shots I took turned out to be stabs in the dark. Sure, I could still take a few more chances today at Santa Anita while 2014 is still gasping air, but I’m so cold that when my betting finger is poised over the “accept wager” button on my touchscreen I hallucinate cartoon icicles hanging from my fingertip. It’s time to settle up, rather than submit to Getting Out Fever and likely only make things worse. I’ll get it back next year. Meanwhile, and upon some reflection, the thought occurs that 2014 was in many ways a strange and awful year for American racing. Disaster seemed to be waiting around every bend, for man and beast alike. On a bitterly cold morning at Belmont Park just four days into the new year, a horse named Six Drivers threw his rider and ran off wildly, colliding with the heretofore seemingly indestructible nine-year-old gelding Caixa Eletronica, killing both horses instantly (the remaining rider was injured, but survived). Caixa had admirers up and down the backstretch and throughout the grandstand, and none of them could stand it, that such a freaky, lousy break could bring down so nice a horse. It was also a horrible year for jockeys. Here on the NYRA circuit, Juan Vazquez, an exercise rider and part-time trainer died in a fall at Belmont Park on Friday, September 5th. 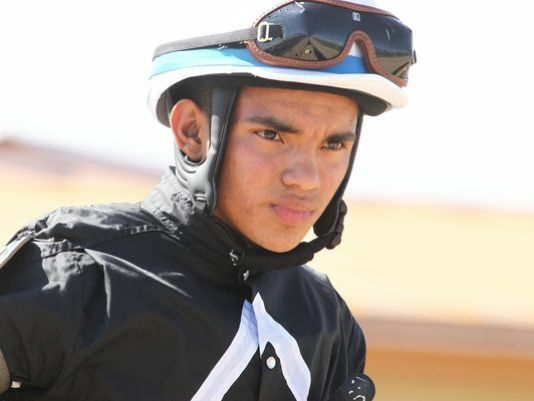 Less than six weeks later, seventeen-year-old apprentice Juan Saez was killed when his mount in the 8th race at Indiana Grand Racing and Casino fell after clipping heels with the horse in front of them, and more trouble followed. Racing news does not get any sadder than this. Even horseplayers, or, at least, one notable horseplayer fell victim to both wild fortune and wild misfortune, in that order. On May 25th, Dan Borislow took down the nearly-$7-million Rainbow Six Jackpot one day before a mandatory payout card would have likely doubled the pot and distributed it amongst at least a few winners. Less than two months later, Borislow died from a heart attack after playing in a soccer game. It is not known how much of racing’s recent slide in handle is attributable to the big-betting Borislow’s demise, but it is rumored to have been too significant not to be missed. And there was the PETA undercover investigation that erupted in righteous fury in the pages of The New York Times in March, which showed speed, and then quit. The actual investigations promised by racing authorities in New York and Kentucky seem to be headed nowhere, slowly. After taking so many body blows in PR over the last few years you would think that racing’s powers that be would be able to formulate better responses to adversaries such as PETA. You would be, of course, wrong. In a rare case of bad news being followed up by an excellent response, Churchill Downs raised their takeout to the maximum allowed by Kentucky law a few weeks before the Derby and has since felt the wrath of a HANA-led boycott (though it would be a nicer story if CDI seemed to care even a little bit). And in the biggest race of the year – featuring the then-undefeated Shared Belief against Derby and Preakness winner California Chrome – the Breeders’ Cup Classic fell apart in acrimony and Bob Baffert-hate when Bayern turned left out of the starting gate, impeding both his main pace rival (Moreno) and the favored Shared Belief, before going on to a ragged and controversial victory. As cowboy-hatted California Chrome part-owner Steve Coburn could tell you, if something could go bad in 2014, it did. In such a year, it’s important to remember the big picture. Sure, my betting stunk, and I lost a few shekels. But looking to get into the black by a year-end deadline – the Big Get Out – is just silly, and pure vanity, and, I’ve decided, not for me. I’m done for 2014 and will be starting 2015 with a clean slate, a refreshed bankroll, and a renewed appreciation for the degree of difficulty inherent in being a winning horseplayer. Tonight at midnight I will kiss my wife, wish all the horses a happy birthday, and drink to hoping that 2015 will be a better year for almost everyone, including you. Happy New Year!